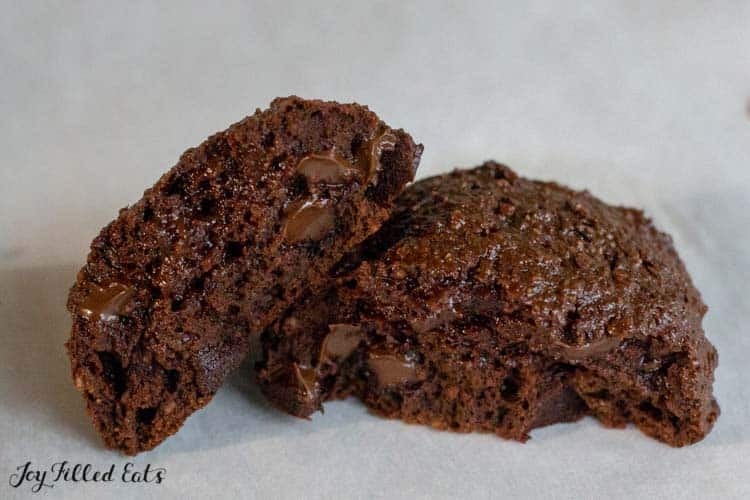 These rich and decadent Brownie Cookies take two of the best things in the world and combine them into one tidy package. 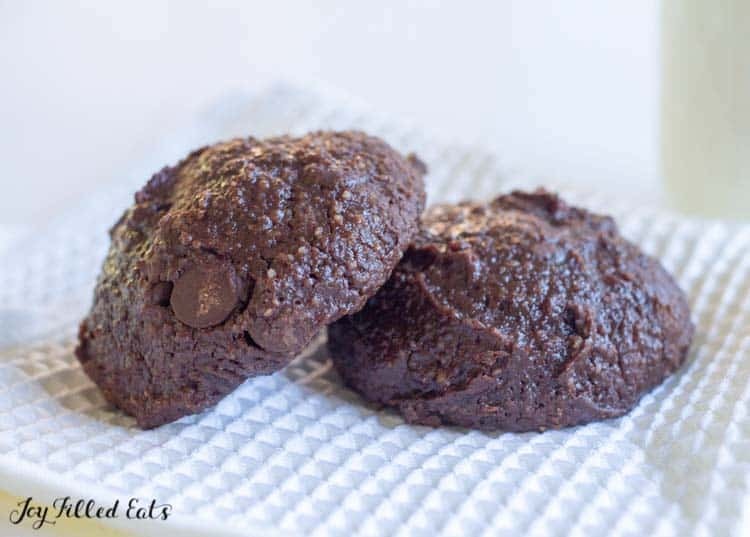 They are chewy, chocolatey, and fudgy with plenty of chocolate chips in each and every cookie. 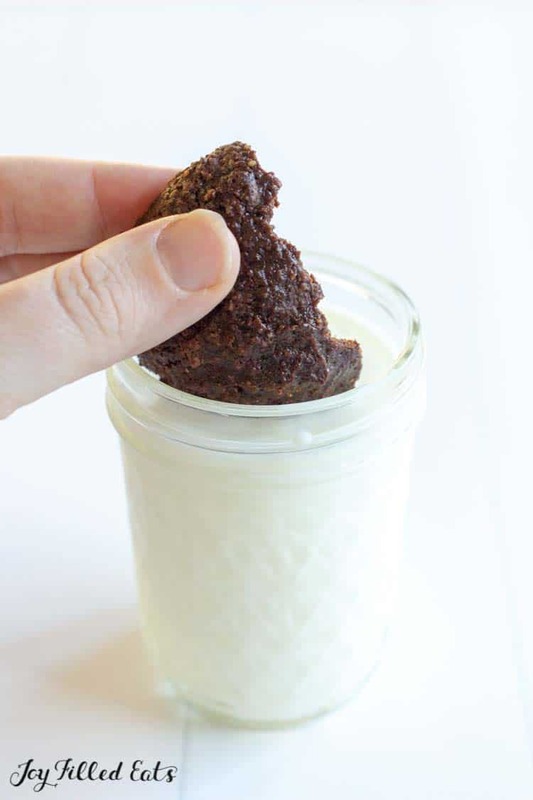 These are nut-free using an inexpensive substitute for almond flour and have only 6 ingredients! My sweet 7-year-old daughter is allergic to pistachios and cashews and avoids all the other nuts as a precaution. One of my goals for this fall was to make more healthy treats that she can eat too. 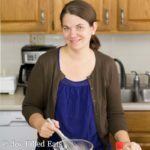 Almond flour is a staple for low carb baking and I use it a lot but that means my daughter can’t have those goodies. Many she wouldn’t even want (anything pumpkin for instance) but occasionally she stares longingly at a brownie or cake I’ve made for the blog and feel a little left out. There is always an alternative for her but it’s still hard to be an allergy kid no matter what. 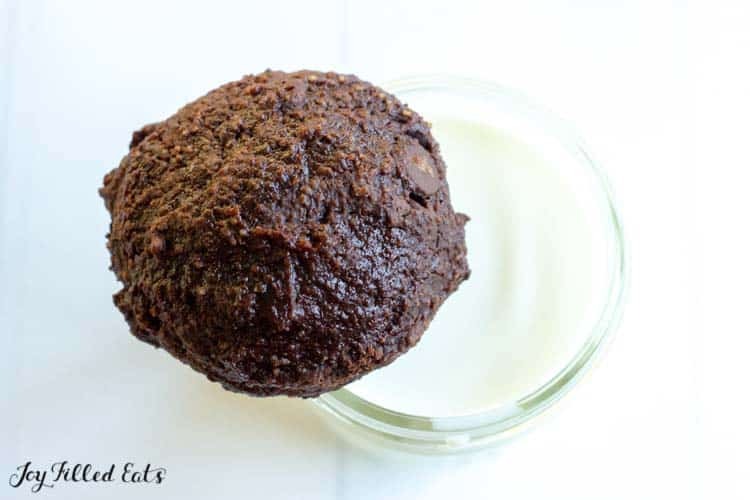 A few weeks ago I dedicated an entire day to yummy nut-free treats and these brownie cookies are the first of this new batch I have to share. How do you substitute for almond flour that is a standard in SO many healthy baked goods? Coconut flour is not an easy substitute even though it too is found in many low carb baked goods. Coconut flour is much drier than almond flour and has a different texture, not to mention the overwhelming coconut taste. Other nut flours can be used if there isn’t a nut flour but when you can’t have nuts, what then? The BEST substitute for almond flour I have found is sunflower seed flour. It acts much like almond flour in baked goods so you can sub it in 1:1. And, it’s an awful lot cheaper. You can buy raw sunflower seeds and grind your own sunflower seed flour for less than $3 a pound. I’m slowly testing sunflower seed flour in my other baked goods and so far it is working perfectly as a substitute for almond flour. To make my nut-free brownie cookies I simply ground the sunflower seeds, added in the other ingredients, scooped, and baked. It’s even easier than making brownies because I bake them on parchment paper so there is no cleanup. 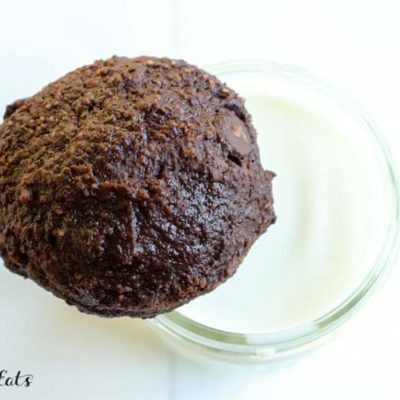 Need some other delicious healthy Brownie Recipes to try? 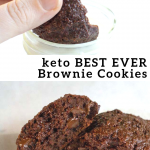 I have not tested using sunflower seed flour as a substitute for almond flour in all of these brownie recipes but to my knowledge, it should work! If you try it in any of these please let me know how they turn out. 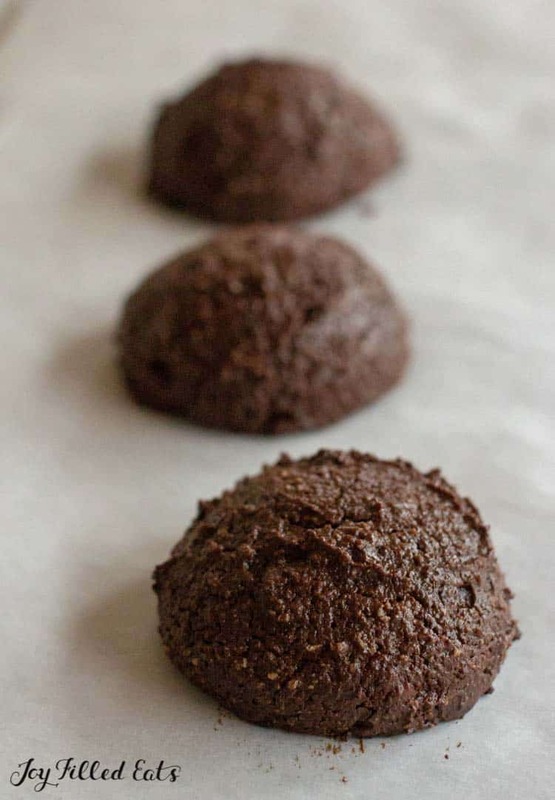 This recipe makes 8 BIG nut-free Brownie Cookies. 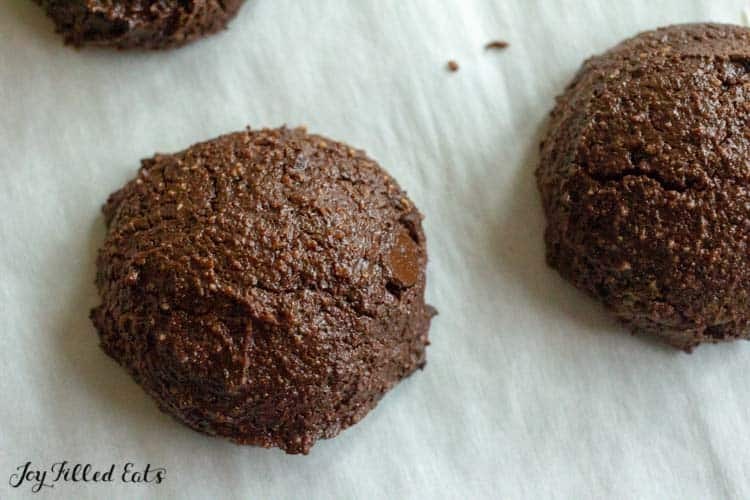 They are rich and chocolatey and are the perfect after school or midday treat. Finely chop the sunflower seed kernels in a food processor. 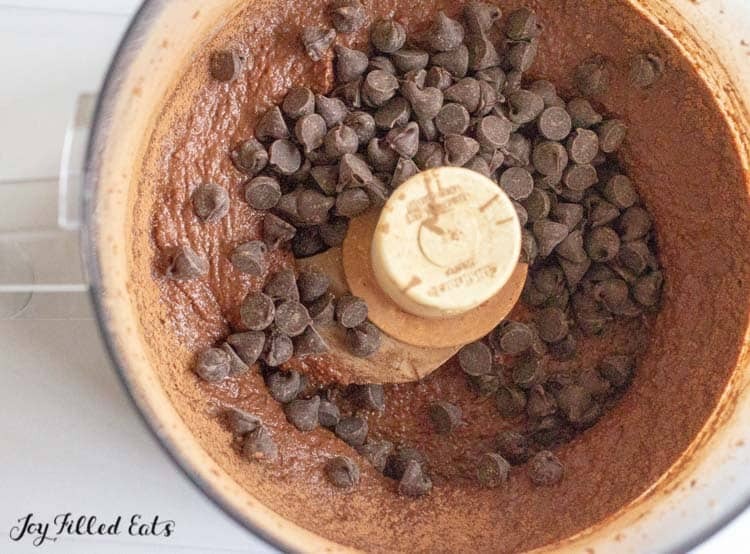 Add the xylitol, butter, eggs, and cocoa powder. Pulse until a dough forms. Stir in the chocolate chips. Drop 8 scoops onto a parchment lined baking sheet. Bake for 12 minutes or until firm to the touch in the center. Cool for 10 minutes. THANK YOU! While doing THM I find I am allergic to all thing almond. If you want to sub almond flour would it be 1 cup? I did like the nut free sub for the almond flour. You don't have to dry it out it first? My sunflower meal comes out more wet? If you wanted to grind sunflower seeds ahead of time to store as flour you probably would need to dry it. To use immediately it works as is.